There’s something eerie about da Vinci’s Lady with an Ermine—that distant stare, the strangely serpentine choice of rodent, the utter darkness of the backdrop, perhaps? Even before the trailer for Layers of Fear transforms the subject of da Vinci’s portrait work into a skeletal atrocity gripping a snarling demon rat, it has the same faintly unsettling quality I tend to see in a lot of the classic art of 15th and 16th century Europe. So it makes sense that Layers of Fear, which follows a painter’s descent into madness, would focus on these types of masterpieces. The creep factor is already there. 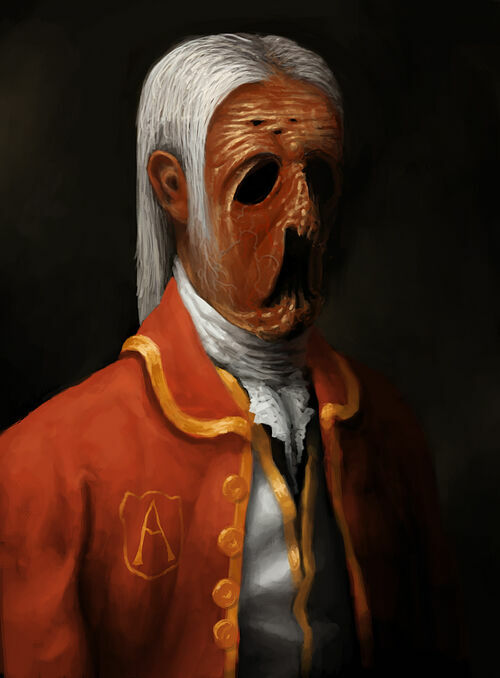 The idea of a setting that can change in real-time reminds me of Amnesia: The Dark Descent, notably the scene where Alexander of Brennenburg’s portrait morphs into a Bosch-like hellspawn. Admittedly, the narrator of the trailer and his angry critique of Lady with an Ermine makes me laugh a little—he’s so mad!—but if the visuals stay as weird as they are in the video and the screenshots below, I’m ready to dive into Layers of Fear as soon as it’s out on August 27th.